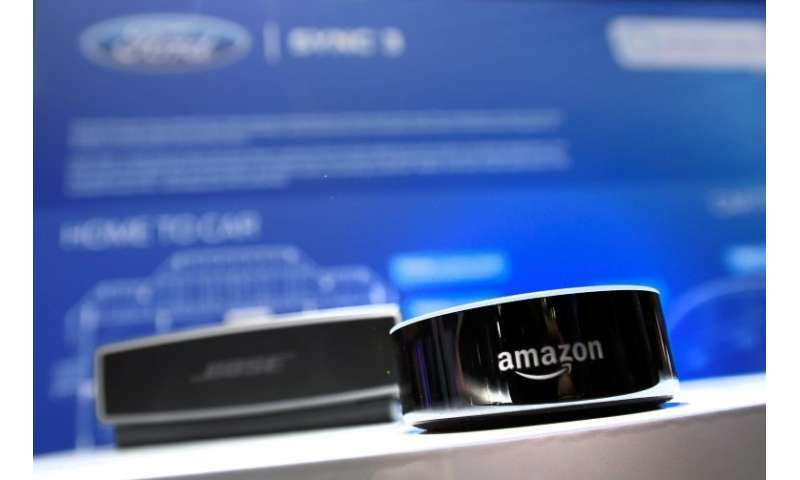 Software developers have created an array of "skills" for Alexa-infused devices tailored for French users, according to the US internet giant. "Tens of millions of customers around the world are already using Alexa, and today we're excited to introduce Alexa to our customers in France," said Amazon Devices International vice president Jorrit Van der Meulen. "In France, Alexa is French. We had to rethink the concept to honor French language and culture." Echo devices with Alexa software compete against Google Home smart speakers, which became available in France last year, and with voice-activated devices from other makers including Apple. Some analysts see the dawn of a "post-smartphone era" in which people take to interacting with computers simply by speaking. "They're always ready, hands-free, and fast," Amazon said of its smart speakers in a release. "Alexa is the brain behind Echo—just ask, and she'll answer questions, play music, read the news, set timers and alarms, check sports scores, control lights around your home, and much more." Alexa is available in several countries outside the US, but the assistant has been operating primarily in English. The devices became available in Germany and Austria earlier this year.